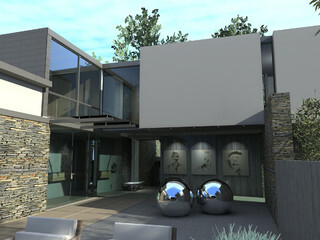 Ashbee Design: The Balls that Got Away! 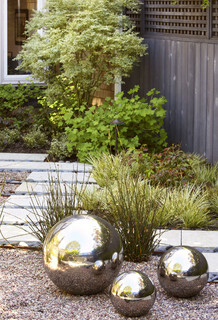 Yesterday I blogged about the CB2 stainless steel balls I arranged in my garden. Today I want to tell you about the ones that got away. The moral of this story is to buy it when you see it! 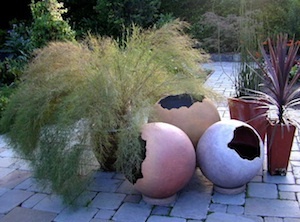 About five years ago I went to a stone store (unbelievable concept - buying stones in New England!) to buy a granite base for a lamp. While there I saw three beautiful granite spheres 1 foot, 2 foot and 3 foot in diameter. I inquired about them and learned that the expense would be delivery. It required a fork lift to move them. I had no place to put them because I knew we were due for a septic system project and the entire lawn was going to be involved. So I remembered them. Wrong choice. Years later I went back but the spheres are gone, the place has no more, no longer stocks them and won't order any for me. They are on my big dreams wish list for sure. 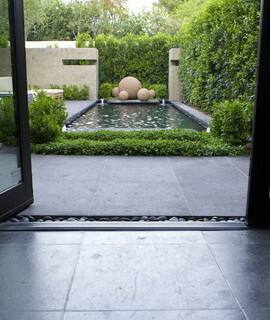 I regularly browse through the images on Houzz and every so often large garden spheres appear to remind me and re-inspire me. 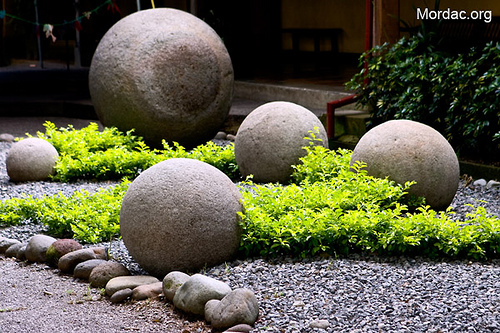 But while looking for photos of garden spheres I found a site about how to make hollow garden spheres yourself from concrete. An idea has been planted. Let's see where it goes. Check out the 'how to" instructions here. 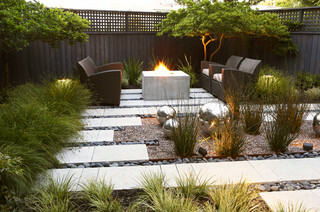 Below are examples from Little and Lewis, concrete sculptors. 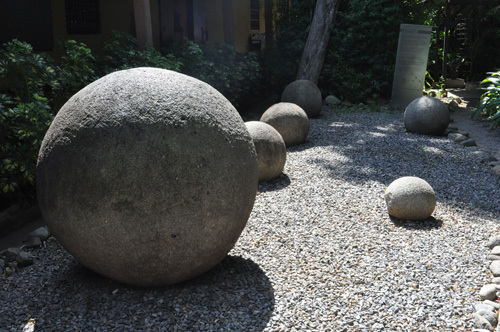 The concrete ball project looks perfect for sculpture week!